After one last day of new joiners, last minute backer-outers, and word count goal changers, here are the final numbers. 20/64 are planning to write more than 10,000 words this month. Three students are now taking on the full-on 50,000 word challenge. HOW EXCITING IS THIS. I teach 7th graders! My students are 11-12 years old! I shared some of the story ideas I’ve seen from them in my post yesterday. Today we developed our main characters, and I saw some really deep characterization happening. I’m thinking our January project is going to be revising (mostly because I want to read them all! ), and then perhaps creating a first chapter anthology of some sort? My brain is spinning with the ideas. 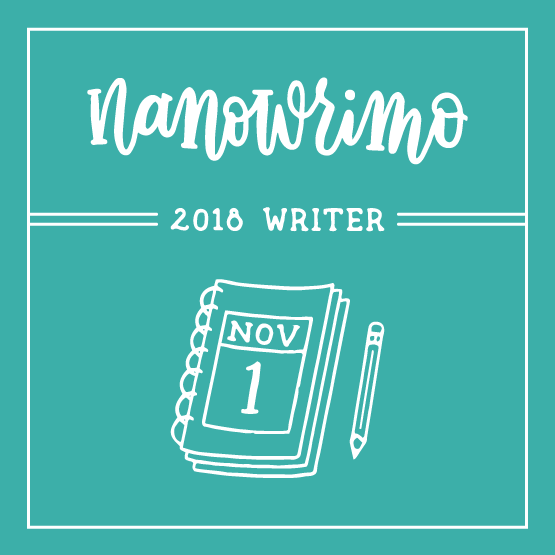 For my own NaNo this month, I’ve been toying with a plot these last few days (a short summary is available on my NaNo profile). BUTTTTTT now I’m starting to rethink it. It doesn’t have a spark anymore. I may start writing it tomorrow, until a different idea smacks me upside the head. Or maybe I’ll just start writing something random and it will turn into magic. The one time I plotted my entire novel from start to finish, I completed 90% of the storyline at 25,000 words. SO I had to create a HUGE subplot to kill the other 30,000 words, and then my main character died, so it was a disaster. We’ll see what happens tomorrow and go from there. Either way, I can’t let my students write more than me! So I’m hella motivated to reach that 50,000th word this year. Leave your encouraging words in the comments, for me, my students, and all the other brave souls reaching for the stars this month. I’ll post an an update on Friday! I’m so excited for her; I just started following, and I love the fact her and her students are doing an impeccable goal.